The Tate-LaBianca Homicide Research Blog: County Officials Celebrate Reopening of Hall Of Justice in Downtown L.A.
County Officials Celebrate Reopening of Hall Of Justice in Downtown L.A.
County officials gathered today to mark the reopening of the long-shuttered downtown Hall of Justice. District Attorney Jackie Lacey and county Supervisors Michael Antonovich, Don Knabe, Gloria Molina, Mark Ridley-Thomas and Zev Yaroslavsky joined Interim Sheriff John Scott to dedicate the new home of the Sheriff’s Department and District Attorney’s Office. Built in 1925, the iconic beaux arts structure sits across the street from the criminal courthouse and on a diagonal from City Hall. The exterior granite of the 14-story building has been cleaned from gray to gleaming ivory and the marble grand lobby and multistory loggia have also been restored. Jails cells that used to occupy the upper floors — and once housed serial killer Charles Manson — were removed in favor of offices. However, one of those jail cells, perhaps Manson’s, will be on display in a first floor visitors center. The building has a storied past. It was the site of the trial of Robert F. Kennedy’s killer, Sirhan Sirhan. It was also home to the county coroner’s office when Marilyn Monroe’s autopsy was conducted. Closed in 1994 in the aftermath of the Northridge Earthquake, the Hall of Justice has been completely retrofit to meet seismic codes. Move-ins are planned near the end of this year. 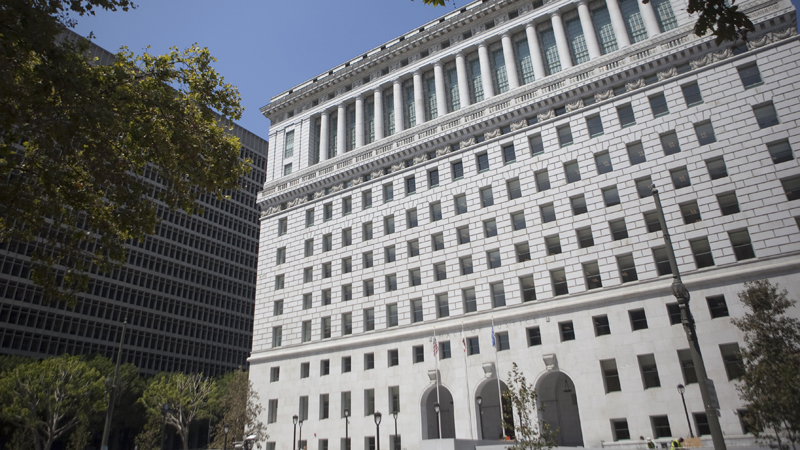 The county LA court house is the home of Perry Mason. You'll see the old tv show will show the LA court house from various angles during many episodes. At the 28:00 min point in the you tube above you'll see Perry Mason walking up the steps of the LA county court house. Some episodes show the large court house off in the distance filmed from an overpass on the freeway. It was fimed a hundred times in the Perry Mason tv show. A serial killer kills multiple people with whom he has no personal relationship. And that's what Charlie did. Actually killing or ordering killing. Same thing in my book. I thought he was a spree killer. Seriel Kill is close enough I guess. Hippie killer Cult leader sounds right. A mad, murdering musician. Singer, songwriter, murderer extraordinaire. Katie, by definition, if only by me, serial killers do the dirty deeds themselves. They wouldn't let others to do their killing, because they enjoy doing it themselves, for whatever perverse reason they have. Secondly, Manson's targets were not random. Both Cielo and Waverly were known to him. It's just my opinion Katie. 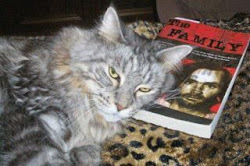 They can all call Manson a serial killer, but to me, he was not.